Meanwhile, Capcom represents three. 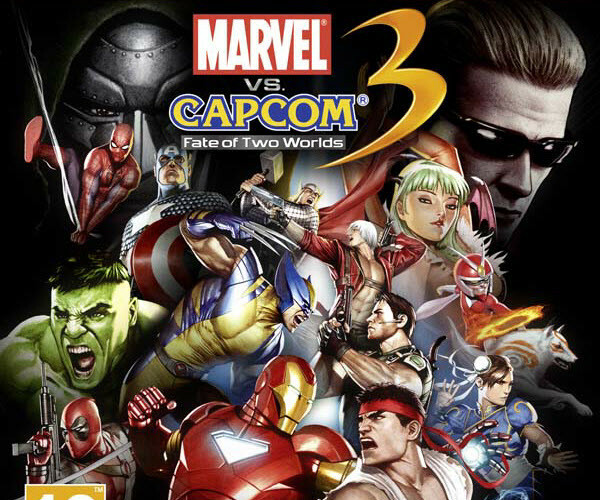 Add to that, the only playable female characters on the Marvel side that have been revealed are She-Hulk and X-23. I’m genuinely kind of perplexed. This entry was posted on 11/23/2010 by ravenhaired. It was filed under Female Characters / Creators, Things that Kill my Soul, Video games and was tagged with Capcom, Marvel, She-Hulk, X-23. That is a shame. But you have to admit, being able to play as Shulkie is VERY cool. Shulkie is an awesome addition, no doubt about it. It’s just too bad they don’t throw in more variety as far as playable female characters. X-23 seems like a pretty random choice, too. Two words – downloadable content. It is a way for Capcom and Marvel to milk more money from the game, in the pretense of adding characters they could not originally put into the game. I hate DLC. I don’t see why they couldn’t originally put them into the game. If they want to milk some DLC, then leave out an extremely popular character like Deadpool or someone and put a female in his place, then make people download his character for $$. I guess we’ll see when the game comes out whether or not you have the option to download other female superheroes (which still sounds a little skeevy to me in a number of ways).